Potassium bicarbonate was administrated to an already alkaline diet in seven male subjects during a 21-day bed rest study and was able to decrease bed rest induced increased calcium excretion but failed to prevent bed rest-induced bone resorption. 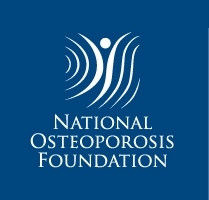 Supplementation with alkali salts appears to positively influence calcium and bone metabolism and, thus, could be a countermeasure for population groups with an increased risk for bone loss. However, the extent to which alkalization counteracts acid-induced bone resorption or whether it merely has a calcium and bone maintenance effect is still not completely understood. In the present study, we hypothesized that additional alkalization to an already alkaline diet can further counteract bed rest-induced bone loss. Seven healthy male subjects completed two parts of a crossover designed 21-day bed rest study: bed rest only (control) and bed rest supplemented with 90 mmol potassium bicarbonate (KHCO3) daily. KHCO3supplementation during bed rest resulted in a more alkaline status compared to the control intervention, demonstrated by the increase in pH and buffer capacity level (pH p = 0.023, HCO3p = 0.02, ABE p = 0.03). 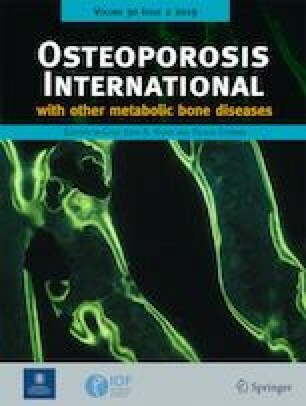 Urinary calcium excretion was decreased during KHCO3 supplementation (control 6.05 ± 2.74 mmol/24 h; KHCO3 4.87 ± 2.21 mmol/24 h, p = 0.03); whereas, bone formation was not affected by additional alkalization (bAP p = 0.58; PINP p = 0.60). Bone resorption marker UCTX tended to be lower during alkaline supplementation (UCTX p = 0.16). The more alkaline acid-base status, achieved by KHCO3 supplementation, reduced renal calcium excretion during bed rest, but was not able to prevent immobilization-induced bone resorption. However, advantages of alkaline salts on bone metabolism may occur under acidic metabolic conditions or with respect to the positive effect of reduced calcium excretion within a longer time frame. Firstly, we are very grateful to the test subjects and the study management team at DLR, who took care of the subjects in the laboratory. We are also grateful to H. Soll and P. Goerke, who performed the psychological evaluations of the test subjects. G. Kraus, I. Schrage, and E. Huth are acknowledged for the biochemical analysis. The authors thank Karina Marshall-Goebel for her assistance in the preparation of this manuscript. M. Heer has recently moved from DLR, Cologne, Germany to University of Bonn, Germany. N. Baecker has recently moved from DLR, Cologne, Germany to University of Bonn, Germany. J. Buehlmeier has recently moved from DLR, Cologne, Germany to the University Hospital Essen, University of Duisburg-Essen, Germany. G. Bernhardt has recently moved to Novartis, Basel Switzerland as a freelancer. The study 2 was funded by the European Space Agency (ESA) as part of the “Microgravity Applications Programme” (contract number: 21381/08/NL/VJ) and by institutional funding of the German Aerospace Center (DLR Space Programme).